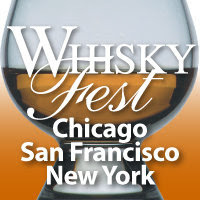 WhiskyFest San Francisco was my first WhiskyFest, and alas, I attended it without John and Bill. But it was, in a word, a monster. You don’t just have to be strategic in attacking it, you have to be disciplined. And in many ways. First of all, the VIP hour that precedes the bustling city center that is the regular part of the event includes a number of special VIP pours at a number of booths. The problem is that they can play out rather quickly, so you have to choose wisely, Grasshopper, and choose well. My clearest memory of that particular hour was marveling at the wicked long line at the Glenrothes, then losing my nosing glass, then begging for a replacement, only to be denied flatly at every turn (though to be fair, that rule is made clear on the site). 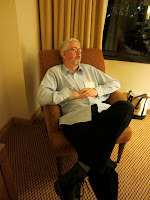 When I returned to the main hall with a white wine glass (looking like a tool), the sound of crickets and disappointed stragglers could be heard at the Glenrothes table, as the VIP pours were long gone. However, another point of the VIP hour is to give the VIPs more ready access to the whisky folks behind the tables, and this I managed to take advantage of while laying down a base layer of food. And I should add that the food was quite good and quite plentiful. 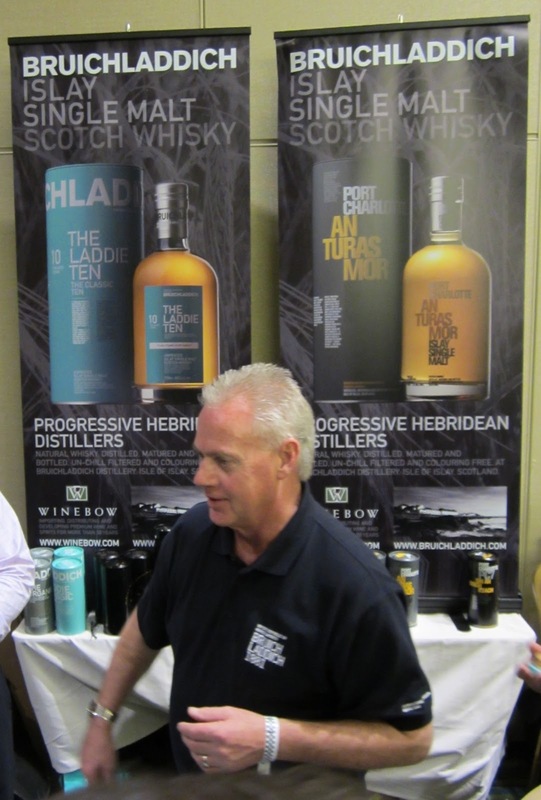 Third, there are some crazy exciting people to meet and equally exciting whiskies to taste, and it’s ridiculously difficult to choose whom to visit and what to make sure you taste. The primary loci of my excitement were: John Hansell, John Glaser and the new Compass Box Great King Street (and beautiful, but altogether too brief, reunions with the Compass Box Hedonism and Spice Tree), Scott Tallon and the new Bruichladdich “Laddie” 10, David Blackmore and the Glenmorangie 25, Lincoln Henderson and everything that is Angel’s Envy, and Dave Smith and the single cask amazingness the St. George folks in California have made by distilling Sierra Nevada Celebration Ale and IPA. The last one in particular was out of this world, especially for this Sierra Nevada lover. So to sum up, the event was a monster, mostly because it presented monster choices, some of which I was up to, some of which I clearly was not. Chris from the LA Whisk(e)y Society, Mikey from PLOWED, Chris from Whisky Wall, and Jason from Guid Scotch Drink (pictured to the right, rocking the after party). Also in that room were at least twenty bottles of unbelievable whisky that some combination of the first few guys had brought with them and that they were generous enough to let the rest of us sample. It was an incredible group of people to hang out with and the perfect experience to cap off my first WhiskyFest. 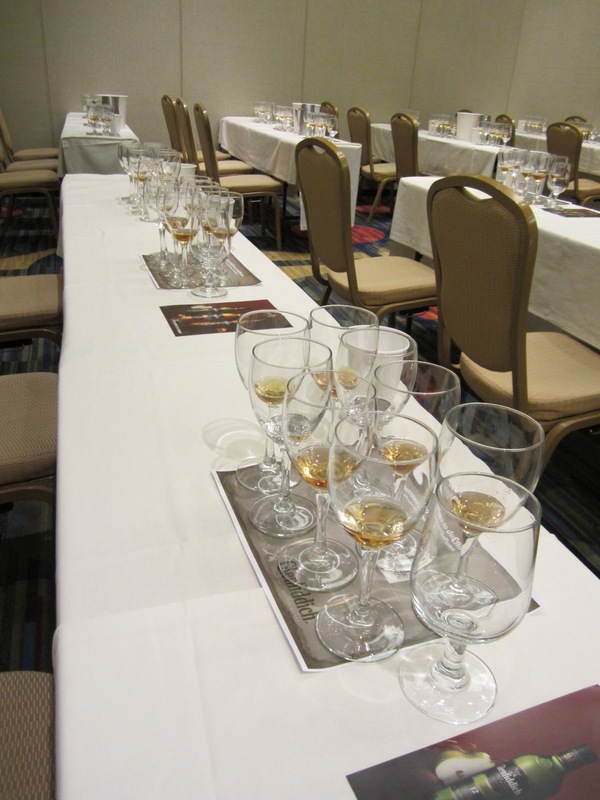 –Our thanks to John Hansell and Joan McGinley from The Whisky Advocate for the press pass to the event! Lovely to meet you Stephen. Hopefully I’ll get a chance to fall asleep on the East Coast the next time our paths cross.